Far from the Tree (PRC edition). 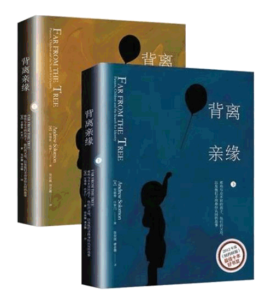 Translated by Jane Xie Niu. Changsha: Hunan Science and Technology Press, June 2018. When we habitually look forward to a happy family, we always tend to think that having children is a “continuation of life”, and the stories of these families are completely on the other side of the world. When a child’s health, personality or life choices are different from their parents, parents are often caught off guard. They face some difficult choices: whether to accept, or to change at any cost? Is it to avoid suffering, or to love hard? Andrew Solomon records families’ true stories with delicate words.